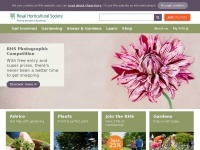 Royal Horticultural Society is the owner of the copyright for this website. 175 links pointing to Rhs.org.uk were found. 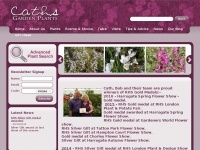 The most used keywords in text links are Royal Horticultural Society, RHS and Britain in Bloom. Individual words like Horticultural, Society, Royal and Garden are frequently used in text links from other websites. 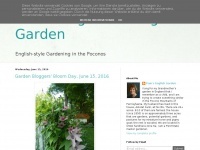 The most important links to the website are from Gardenfreebies.co.uk and Blackberrygarden.co.uk. The homepage of Rhs.org.uk and the subsite /shows-events/rhs-hampton-court-palace-flower-show are most referenced by other websites. The table shows the most important links to Rhs.org.uk. The table is sorted in descending order by importance. 1. www.gardenfreebies.co.uk 25% off with membership! 6. www.blockpavingsurrey.co.uk It's Show Time!!! The table shows websites of Rhs.org.uk, which are often linked by other websites and therefore they are classified as important content. 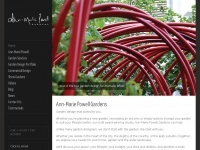 Ann-mariepowell.co.uk - Ann-Ma­rie Po­well Gar­dens | Gar­den De­sign, Build, ..